The following notes and audio were taken from the weekly Bento User Group meeting, held on Thursday, May 26th at 13:00 SLT on Aditi. For details on each meeting and the location, please refer to the Bento User Group wiki page. It had been hoped that back-end support for Bento would be enabled on Agni (the main grid) during week #21. However, things got held up while a fix was being pushed through QA (possibly the security fix which rolled to LeTigre and then to all channels this week?). The Lab is now planning to enable Bento in week #22, most likely on Tuesday, May 31st. Until the Bento code comes into wider circulation among TPVs, any mesh avatars, etc., rigged to the new bones will look deformed in non-Bento viewer, and may cause some viewer instability / crashes. Details are still TBD, but one aspect of the move to Agni will be a further stress test to see how large numbers of Bento avatars impact performance, region crossings, etc. Details, including date and time will be made available in due course. With the deployment of Bento to the main grid, Bento User Group meetings will also swap over to Agni as well to encourage attendance. Details of where meetings will take place will be announced via the User Group wiki page and through the Bento forum thread. With regards to the next meeting, due on Thursday, June 2nd, there is a Lab internal meeting taking place that day. It is therefore unclear if the Bento meeting will take place or will be cancelled (Vir would prefer for the latter not to happen, given the scheduled Bento deployment to the main grid). A decision on whether, when and where it will be held will again be made via the User Group wiki page, etc., once decided. A “Reset Skeleton” option, intended to fix cases where an avatar is distorted in your world view as a result of incorrectly applied joint updates. 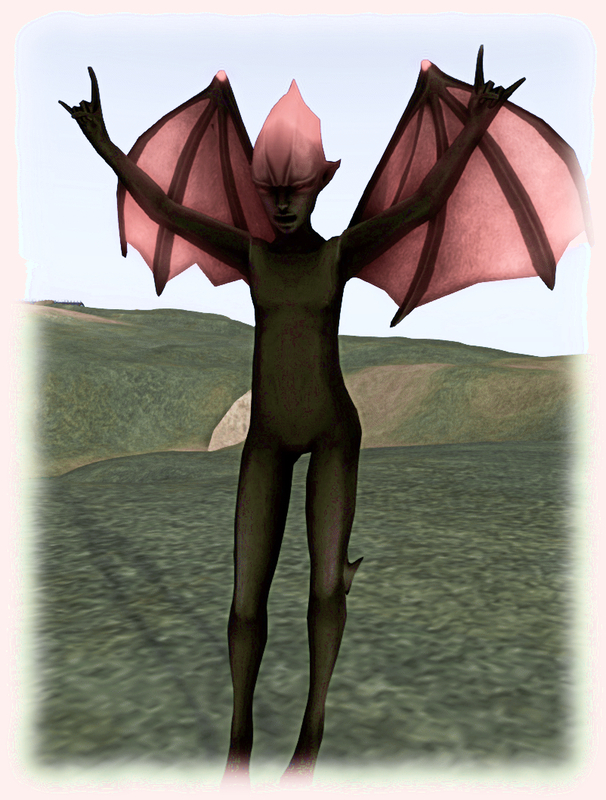 For example, a non-human avatar may show as “crunched up” because it is still in a human pose. Right-clicking on the affected avatar (your own or another) and selecting Reset Skeleton from the avatar context menu should correct the avatar’s appearance in your view. As this is a viewer-side update, it will not affect how anyone else sees the affected avatar until they use Reset Skeleton. The Lab has requested feedback on the capability if it fails to work as intended. The viewer also includes a few late-breaking changes to the slider support for mesh avatars, including jaw shape and head shape. Sliders that affect the scale of mPelvis now also alter mHindLimbsRoot, to better keep the front and hind legs synced up. At the time of writing, the Bento test files have yet to be updated to reflect the most recent viewer changes. When this has happened, they will be linked via the Bento Testing page. Matrice Lavalle from Avastar and Cathy foil of MayaStar are working on getting the skeleton files updated for their respective plug-ins, and ensuring the are consistent with one another, something they hope have finished in the very near future. Once this has been done, both Avastar and Mayastar will be updated, and will include collision volumes and some other weighting tweaks which should help improve slider behaviour when editing an avatar’s appearance. Vir has started putting together a repository for supporting test models and animations which can be made available through the wiki Bento test page, so if there are other Bento creators / animators who have test models and files they would like to submit, he asks that they drop him a line. There was also discussion on how to present the models to ensure those using different modelling tools (e.g 3D Max) can obtain a full set of bones with which to work. Mayastar is the skeleton plug-in Cathy Foil produces for Maya users (Avastar being the plug-in for Blender). Mayastar will current export .BVH files with bone rotations for the entire skeleton, but translations for the mPelvis bone only. This works reasonably well with these restrictions, although it does have an issue with feet Cathy is currently looking to fix. As far as skinning, etc., is concerned, Maya works “pretty good”. However, and in her own time, Aura Linden is working on an exporter for Maya which is intended to support export .ANIM files with both rotation and translation of all bones in the skeleton. This should eliminate the need to sue two skeletons for Mayastar – one for rigging and one for animations. Subject to confirmation, the .BVH uploader may also have been updated to eliminate the need to use two skeletons. However, there now appears to be an aggravation with pre-jump-jump-land animations, where they may not all transition one to the other correctly, or pre-jump / landing fails to play consistently. The basic issue itself pre-dates Bento (see BUG-7488). However, pre-Bento. it could be more-or-less resolved by adjusting the times on the pre-jump / jump /land animations – but this doesn’t seem to work when using Bento-specific jump animation sets. A JIRA specific to Bento has yet to be filed – although this will be done shortly. In the meantime, Simon Linden has tagged the Lab’s internal version of BUG-7488 for potential follow-up and investigation, as it would be nice to fix the underpinning issue at some point as the Lab continues to refine the avatar. Following the meeting, Cathy Foil gave further insight into some of the issues of rigging the to the Second Life avatar skeleton, including the general approach taken by Avastar and Mayastar to handling the basic join position information, how bone movement is managed by Second Life (using pivot values) versus how DAE files handle the same (using positions values) which can lead to issues. In addition, she also touches on differences between the default avatar files contained in the official viewer and those found in TPVs, and in changes which occur when creating a new female shape which can cause deviations from the skeleton. Note: the above extracts were drawn from Cathy’s comments when addressing various questions in chat. I’ve attempted to draw the relevant threads together to produce a concise set of comments which flow together. In doing so, I have striven to maintain context and avoid any comments appearing out-of-place.